SavedByTech, a Bristol-based event, is coming up on the 10-11th May all about how tech can save the world. Technology brings an array of benefits but can it really be used to save the world? We’ve taken 4 of the toughest issues facing the world and found tech solutions. 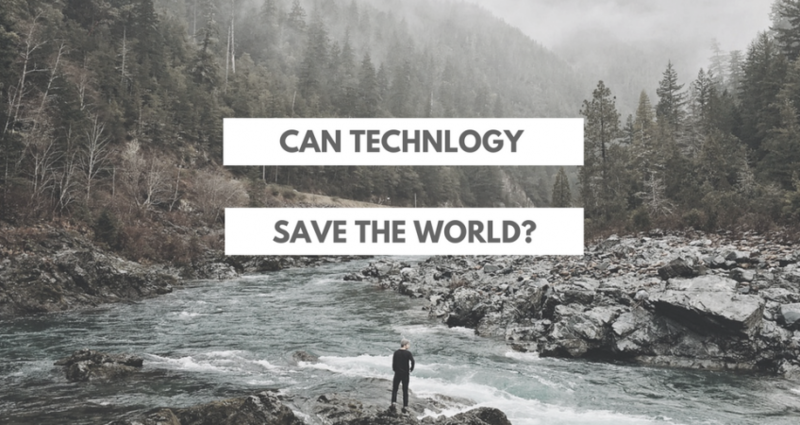 Keep reading to find out how technology can save our world. Almost 50% of the world live in poverty. We often think of poverty as something that happens only to people in developing countries, but that’s not the case. In fact, 21% of people in the UK live in ‘relative poverty’. But, tech can help. More than 2 million adults used mobile banking in 2016 with 2017 set to see a rise. With a 9% decline in the use of tradition banks, mobile banking is taking over. Studies show that by 2020 70% of people will have access to a mobile phone meaning at least 20% of people in poverty will be able to access online banking. Access to mobile banking provides control, helping to save and plan. People who have been unable to use a tradition banks now have full access remotely. People who struggle to manage resources can get stuck in a cycle with no understanding of how to get out. Mobile banking enables an escape from the lifestyle, an escape from poverty. 400 million people have no access to essential health services worldwide but 7.19 billion people have a mobile phone. Technology has found a way to bring health care to the 400 million. Health apps such as DoctorOnDemand help people around the world gain access to basic health advice. With the health providers stretched to the max apps such as DoctorOnDemand help save time and resources. Icouch enables mental health professionals to connect via video to patients. Video calling eliminates obstacles that prevent patients from treatment. Online doctors could be the future for health care in places without. ReWalk started when Amit Goffer became wheelchair bound. ReWalk is a battery powered set of legs that enable people with spinal cord injuries to walk again. According to the World Economics Forum’s annual survey, the most concerning issue for millennials is environmental welfare. Technology is providing a future for our environment through protection and preservation. From solar panels to wind turbines, tech continues to revolutionise our planet. Thanks to VR we can now experience the earth’s natural treasures virtually. VR helps us experience parts of our planet deemed untouchable: what better way to save the planet by looking at it rather than trampling it? Technology applied to agriculture supports usefulness and safety. Biotechnology can produce crops which are resistant to climate change. Scientists have been able to create other varieties of rice which are resistant to flooding. It is not the only alternative that will allow us to adapt to the changing weather conditions caused by global warming. Around 70 million children have no access to education worldwide. Some top problems facing the education system are overcrowding, spending, innovation and more. Matchbook Learning works with some of the most overcrowded schools in the US, combining face-to-face learning with online classes. In a class of thirty children, the intelligence levels can differ. A teacher can spend time with one group of students while a virtual teacher assists the others. Setting more specific time to cater to specific needs. Donors Choose covers excessive spending, creating new funding to further advancements within education. Donors can find projects that inspire then and choose to donate. Of course, there are obstacles. Some children may see technology as a novelty or entertainment, so may be distracted by it and not study to their full potential. Perhaps, then, a little exciting tech is just what some students need! We expect to see tech solutions continue to grow as the years go on, keep an eye out on social during SavedByTech to see the latest tech to save our planet! 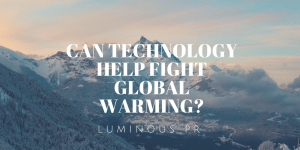 How can technology save us from global warming? Can tech help us solve climate change? Social media manager, Yasmin Hogg, looks at how the IOT, smart cities, apps, and food tech can help!